For all felony and high court misdemeanors in State of Michigan court proceedings, the Judge is required to consider the applicable sentence guidelines. Sentence guidelines are a formula that takes into consideration the Defendant’s prior record (Prior Record Variables), and characteristics of the conviction offense (Offense Variables). Where the Prior Record Variables and Offense Variables intersect on a sentencing grid determines the recommended sentence guideline range. 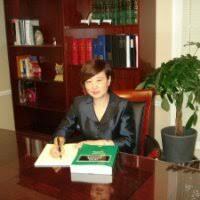 An often asked question is whether or not the Judge is obligated to stay within the guideline range?. The Michigan Supreme Court, in the case of People v Lockridge, 498 Mich 358 (2105), determined that deviations from the sentencing guidelines must be based upon reasonableness. This changed the previously used judicial standard of substantial and compelling reasons to sentence outside of sentencing guidelines. The standard under Lockridge gives the Judge much more discretion concerning the sentence he or she wants to impose. The deviation from sentence guidelines basically needs to be both reasonable and proportionate for a Michigan appellate court to uphold the sentence outside of the guidelines that is imposed. There are other limitations that a Court may have when it comes to sentencing, including: 1) the minimum sentence imposed cannot exceed 2/3rds of the maximum sentence; 2) if the Defendant has a Cobbs agreement (and has not violated any conditions set forth by the Court relative to the Cobbs agreement), the Court must give the Defendant the ability to withdraw his or her plea if the sentence the Judge wants to impose exceeds the Cobbs agreement; 3) sometimes the Defendant and Prosecution enter into a Killebrew agreement, which is essentially a sentence bargain. Generally, if the Court is not willing to honor the terms of the Killebrew agreement the Defendant has the ability to withdraw his or her plea and go to trial. So getting back to the question at hand, what does it mean that the deviation must be reasonable and proportionate? Basically, the Court is obligated to provide adequate reasons for the extent of the deviation from the guidelines. The Judge is allowed to depart from the sentence guideline range when the guideline range is disproportionate to the seriousness of the crime. In this determination the Judge must take into account the nature of the conviction offense or offenses and the background of the Defendant, and the applicable sentence guideline range. There are several factors related to this assessment, including: 1) the seriousness of the conviction offense or offenses; 2) factors that were inadequately considered by the sentence guidelines, such as [but not limited to] the relationship between the Defendant and the victim, any misconduct by the Defendant while in custody, the Defendant’s remorse, and the Defendant’s potential for rehabilitation (see People v. Steanhouse, 313 Mich App 1 (2015)). The Judge is also allowed to consider protection of society as a reason to go higher than the recommended guideline range (see People v. Armstrong, 247 Mich App 423 (2001). The Judge should consider the guideline range when justifying the proportionality of a deviation from it. Will A Criminal Defense Lawyer’s Mistake Lead to A New Trial in Michigan? 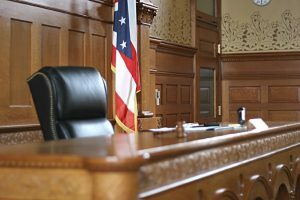 Whenever there is a unjust conviction in State of Michigan Courts, one of the questions that the Defendant and his or her family members raise is concerning the performance of defense counsel. Establishing that the defense lawyer made a mistake is not dispositive that an injustice occurred. Every trial may contain some amount of error. The court system recognizes that lawyers are human, and do not always try the perfect case. The issue to address is the degree of error that occurred. The question of the existence of “ineffective assistance of counsel” can be a complex question. In People v. Armstrong, 490 Mich 281 (2011), the burden in Michigan is placed on the Defendant to show that defense counsel’s performance fell below an objective standard of reasonableness. Part of the consideration is to show that but for the deficient legal representation, a different result would have been reasonably probable. The mere possibility of a potential different verdict or outcome is insufficient. According to Harrington v. Richter, 562 US 86 (2011), the probability of a different outcome need only be “sufficient to undermine confidence in the outcome”. What is an objective standard of reasonableness? No two cases are alike. When it comes to appellate proceedings or motions for relief from judgment, of course the transcripts of the previous court proceedings are paramount to the discussion. However, sometimes all of the answers to the lawyer’s performance are not part of the court record. For example, what if the Defendant provided his or her lawyer with an alibi witness who was never interviewed, listed on an alibi witness list, referenced during the trial, and/or called to testify at trial? How will a Court know if the record is silent to the error committed? Hunting laws in Michigan are always subject to revision. It is important to become aware of any changes in the law before the beginning of any hunting season by reading each year’s Michigan Hunting Digest. In Michigan, safety zones are considered to be all areas within 150 yards (450 feet) of any occupied house, building, cabin, barn, or any building used for a farming operation. Hunting with a firearm is prohibited within a safety zone unless the hunter has the written permission of the owner, occupant, or renter of the property. Pursuant to Michigan Compiled Law 324.40111(7) a person who commits a safety zone violation may be charged with a misdemeanor that may subject the person to a maximum of 90 days in jail, probation with conditions, a fine of anywhere from $50 to $500, Court costs, and State fees. The sentencing Judge also has the discretion to revoke hunting privileges pursuant to Michigan Compiled Law 324.43559. It is important to note that safety zones apply to hunting only. It does not include shooting ranges, target shooting, law enforcement activities, or the lawful discharge of firearms for any non-hunting purpose. Please be advised that the following partial list of deer hunting charges and penalties in Michigan are always subject to change, and the information that you are reading is not a substitute for the services of a experienced criminal defense lawyer. It is the responsibility of every Michigan deer hunter to update himself or herself of changes of the law every season for the State and for particular regions in the State where they hunt. For all DNR and Deer Hunting related arrests, tickets, and charges the recommended criminal defense lawyer in Michigan is attorney Daniel Hilf. Take Deer From a Motor Vehicle [ MCL 324.40111(1) ] – misdemeanor offense with mandatory minimum of at least 5 days in jail to a maximum of 90 days in jail, a minimum fine of at least $200 to a maximum fine of $1000, Court costs and State fees, restitution for the deer, and the loss of hunting privileges for to remainder of the year of conviction plus 3 additional calendar years pursuant to MCL 324.40118(7). Loaded or Uncased Firearm in a Motor Vehicle [ MCL 324.40111(2) ] – misdemeanor offense with a maximum of 90 days in jail, a minimum fine of at least $50 to a maximum fine of $500, Court costs and State fees, and the loss of hunting privileges at the discretion of the Court pursuant to MCL 324.43559. 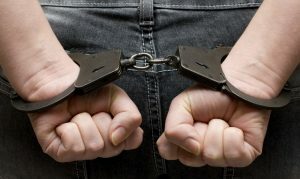 There are many instances when a person is arrested and charged with an offense years after a crime allegedly occurred. Sometimes these persons serve time in jail or prison between the date of an alleged offense and the date that they are charged with that alleged offense. This is troubling, especially in instances where the person would have been sentenced concurrently (serving the sentences at the same time) rather than consecutively (having the sentences stacked one after the other). As a general rule, a Defendant does not have a speedy trial right to be arrested, and that speedy trial rights attach once the charge is filed against the Defendant. The prosecution is prevented from going forward with a case if it is barred by the statute of limitations. What can a Defendant pursue who falls into this gap in which a prosecution is delayed, but a prosecution is still lawful and actually pursued? Generally, a Defendant will have to demonstrate to the court that he or she experienced actual and substantial prejudice results from the delay in his or her arrest on the charge. Completing 2 back to back trials is always a difficult endeavor. To be successful at any trial requires a lot of preparation, skill, and experience. Recently I defended a difficult case before Judge Cheryl Matthews of the 6th Circuit Court concerning an allegation of Fleeing and Eluding in the Second Degree. A large challenge when it comes to a defense of this allegation is that one of the elements of this offense is that the Defendant has a prior conviction for Fleeing and Eluding in either the 1st, 2nd, or 3rd Degree. It is part of the jury instructions, and it cannot be removed from the jury’s consideration because it is an element and not an enhancement, even though this type of information is highly prejudicial. In this case the best solution was to embrace this weakness and make it part of my defense. The defense presented to the jury was that of misidentification. The general facts to the case were that an officer from Hazel Park observed a speeding vehicle, and attempted to pull the vehicle over in a residential area. The speeding vehicle briefly pulled over, and fled at a high rate of speed when the officer was about to step from his patrol vehicle. At this point in time the officer claimed he was able to see the driver for about 1 to 2 seconds, from a distance of 45 to 60 feet away, looking at the driver from an angle as he turned from one street to another. The pursuit ended at an abandoned area of the Michigan State Fairgrounds, when the fleeing vehicle smashed through a fence and the driver took off running. Despite setting up a perimeter, and bringing to the scene a tracking dog, the police officers were unable to locate the driver of the vehicle. The officer claimed that my client was the driver after looking at a driver’s license photo through a police database after the fact and concluding that this was the person the officer observed earlier that day. Troy Michigan based criminal defense lawyer was featured by the Legal News in an article titled “Get to Know Daniel Hilf” on March 15, 2018. The Legal News is a publication relied upon by lawyers and Judges throughout the State of Michigan. The lawyers profiled by the Legal News are well known and respected in the legal community for their areas of practice, and it is a great industry wide honor for any lawyer to receive this acknowledgment. Being featured by the Legal News is not an advertisement or other paid for promotion, and it is not something solicited directly by the lawyer receiving the Legal News’ recognition. Determination is made by an internal selection process conducted by the Legal News. Earlier this year his wife, immigration attorney specialist Sufen Hilf, also was profiled by the Legal News in a similar manner. 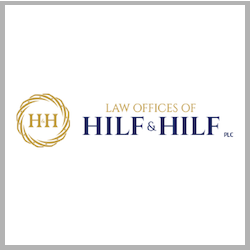 Kudos to attorney Daniel Hilf for a job well done. Immigration attorney specialist Sufen Hilf caught the attention of the Legal News, which featured her in a profile article on February 12, 2018. To read this profile article click here. 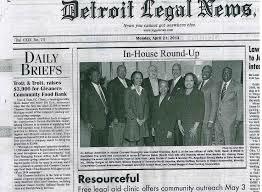 The Legal News is designated as a leading and recognized source of legal news in Michigan and also provides public notice concerning law related matters. It is read and relied upon by thousands of lawyers and Judges throughout the State of Michigan. Articles in the Legal News feature the best of the best when it comes to the practice of law, and to receive this honor is a feather in the cap for any lawyer. Being detained or even handcuffed for a shoplifting allegation is the worst feeling. The biggest questions are: what will happen next?. Will the store prosecute? The store won’t prosecute, but the prosecutor for the city or county where the offense allegedly occurred will usually file a case. The store will likely send a civil demand letter seeking money damages from $50 to $200. The store will also provide all of its evidence to the prosecutor. The evidence for larger chain stores will likely include: a report by a loss prevention officer, a photograph of the merchandise, a cash register receipt for the items involved in the offense to establish the value of the merchandise, in store video recordings, witness statements, and often a statement that it acquired from the Defendant. 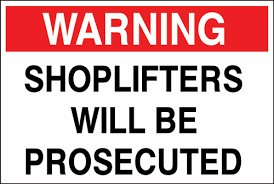 The vast majority of stores will tell the person that they suspected of shoplifting to not come back or else a trespassing charge will be pursued. The next question may be, what will I be charged with? In Michigan, shoplifting charges are determined by a few factors: the accused prior record, the amount of the merchandise and the intent of the accused. Shoplifting charges in Michigan are called retail fraud, which has 3 different degrees. First Degree Retail Fraud is a felony offense that carries a maximum possible punishment of 5 years in prison. This offense is charged by a county prosecutor if the person accused alleged stole merchandise offered for sale at $1000 or more, or is the merchandise is offered for sale at $200 or more and the accused has a prior theft conviction. For the offense of retail fraud, if the accused is alleged to have stolen from a store location on several different occasions the alleged theft amounts of the shoplifting can be added together to determine the charge that the accused will face. Second Degree Retail Fraud is a misdemeanor offense with a possible penalty of 365 days in jail. This offense involves either the shoplifting of merchandise from a store that is $200 or more, or it can occur if the price was under $200 if the accused has a prior theft conviction. Third Degree Retail Fraud is charged when the merchandise was under $200. There is a form of shoplifting that is a 5 year maximum felony called Organized Retail Theft. The important part of this offense centers on the intent of the accused: Did the accused plan on selling what was allegedly stolen? This offense is Michigan’s attempt to combat people who try to make a career out of stealing from stores.